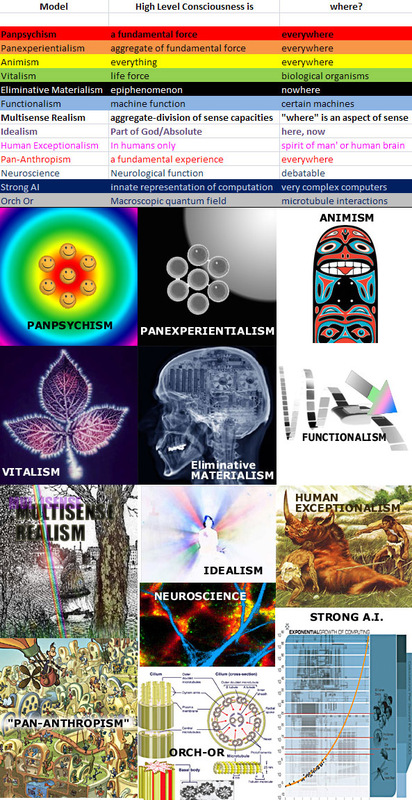 Following is a visual survey of popular consciousness theories to highlight the similarity and difference between multisense realism and established approaches. Multisense Realism explores sense as a reflexive or Ouroboran Monism. Sense is conceived of as the fundamental capacity for derived capacities, aka, the Uni in Universe.